We’ve all got a person we can’t go a day without - it could be that romantic special someone, or your lifelong till-death-do-us-part bestie. Our BAE (Before Anyone Else) has always got our back, and is our cafe-hopping buddy for when we just have to visit that new, die-die-must-try bistro we found while scrolling through Instagram. 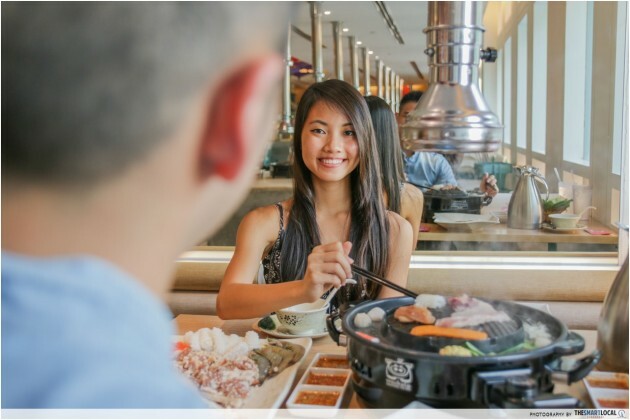 You know what they all say - A couple who eats together, stays together, and there’s nothing better than sharing a delicious meal with that #1 girl or guy in your life. Unless, of course, it’s sharing a meal for HALF THE ORIGINAL COST! 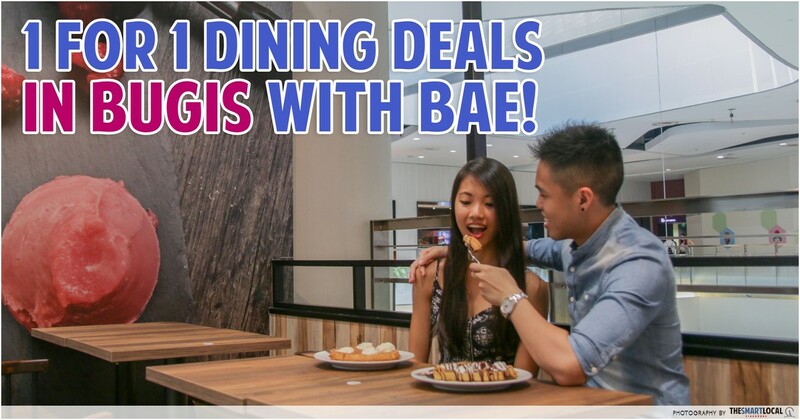 Here are 9 places in Bugis Junction and Bugis+, where you and your Bae can snag some awesome mealtime deals that will slash your dining bill by half. 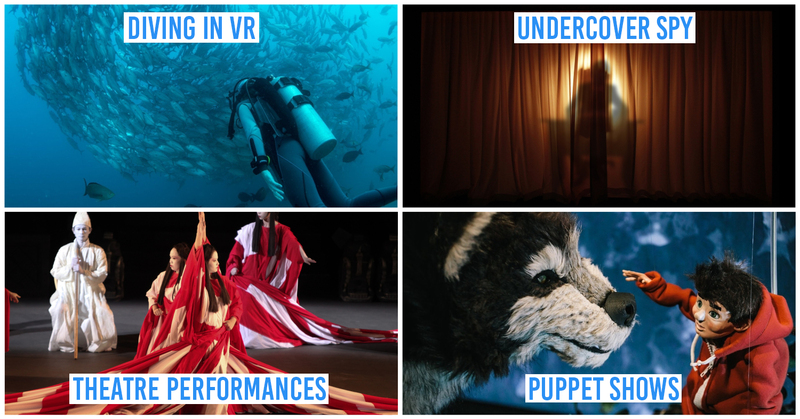 But hurry, deals are valid from the 8th July - 7th August, so get to it! If you’re searching for a place that serves good-quality yet affordable Western grub, 49 Seats checks all the boxes. 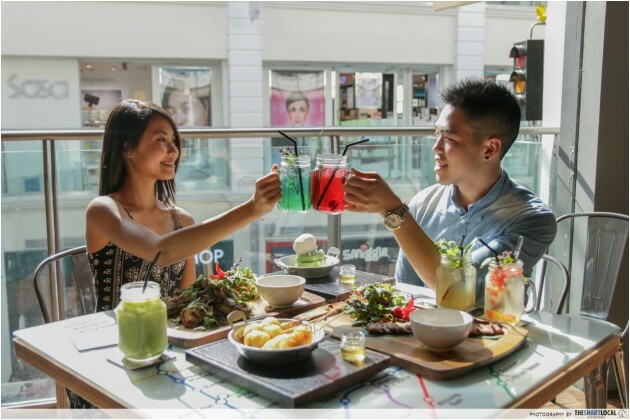 This greenery-surrounded restaurant on the Level 7 rooftop of Bugis+ is the perfect location for a casual lunchtime date, with both a breezy alfresco dining and indoor seating area. If the weather is less than perfect, head for the sunlit air conditioned indoor space, where you’ll get perfect lighting from the ceiling-high windows. 49 Seat’s 1-For-1 Pasta Deal (U.P. 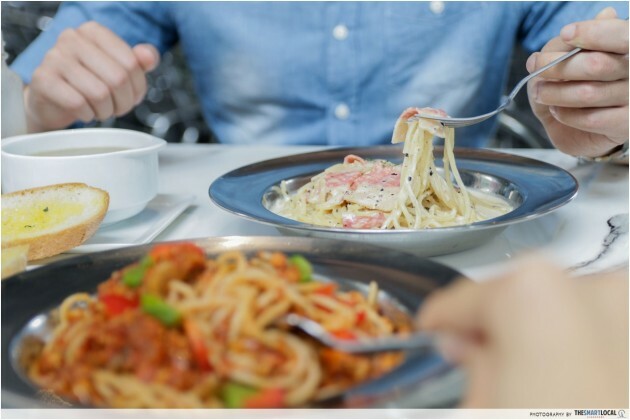 : $12.90-13.90) lets diners enjoy 2 plates of their Seafood Marinara or Carbonara for half the original price! If you’re a fan of creamy pastas, go for the Carbonara, which comes topped with a fair portion of sauteed fatty bacon. The Seafood Marinara is a great choice for those who prefer something less decadent, with its bright herb-and-tomato-based sauce that’s been freshened up with sweet prawns and mussels. For drinks, the Pop Fizzes ($4.90) make for a great accompaniment to your mains. Our favorite was the Grape Fizz with Red Tea Jelly, which came with refreshing bits of grape and smooth cubes of red tea jelly. Aside from these classics on the 1-For-1 promotion, 49 Seats does creative renditions of Western dishes as well. Back by popular demand, the fiery Tom Yum Crabmeat Pasta comes tossed in a spice-laced cream sauce, topped with peppers and a generous helping of fresh crab meat. Shiok. 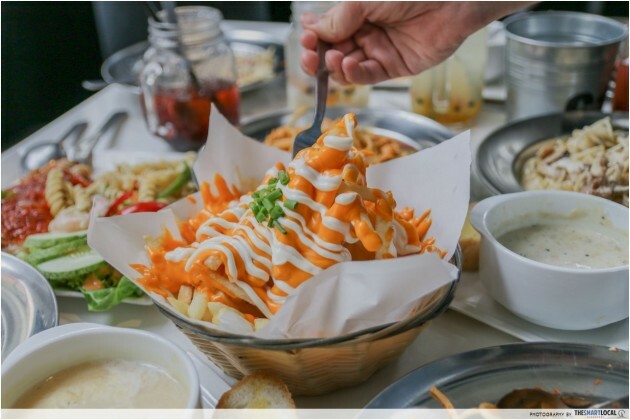 Order a huge bowl of Cheese Fries ($7.90) from their Light Bites menu to share, you won’t regret it. If waffles sound a bit too decadent for you after your feast, opt for something lighter. Sweet, bright and airy-soft, a sundae or two makes a brilliant option as a mid-day treat for our sweltering Singapore heat. 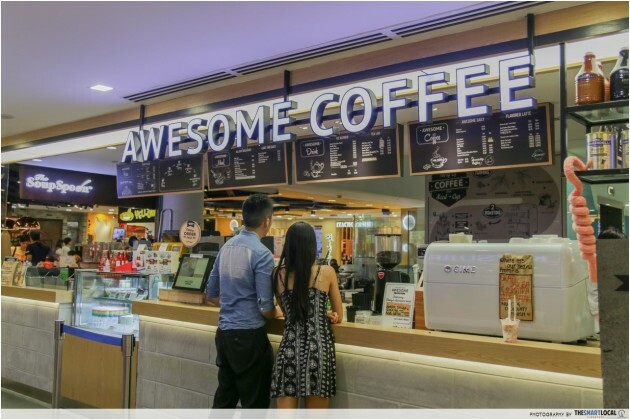 For some soft serve goodness, Awesome Coffee has got you covered with their 1-For-1 deal on their creative Soft Serve Sundaes (U.P. $6.50), which come in a range of locally-inspired flavors. 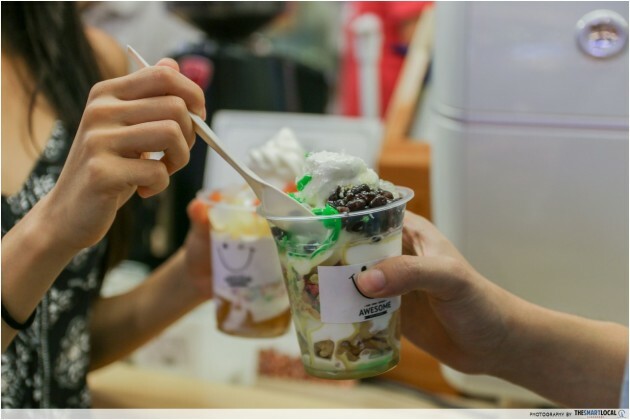 You can choose from the Ice Kachang, Chendol, or Ice Jelly Sundaes. 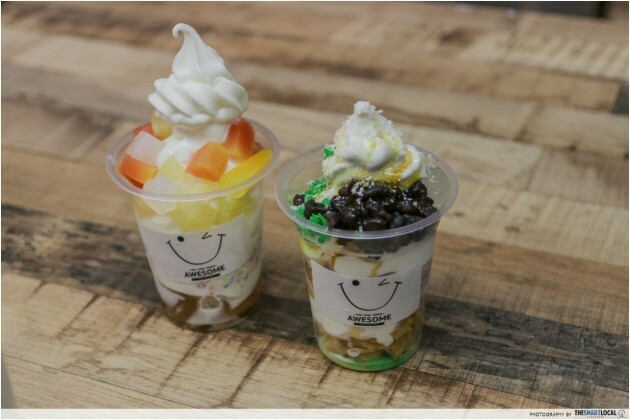 Each sundae comes with generous swirls of creamy soft serve ice cream and layers of crunchy sweet cereal along with a variety of toppings, depending on the flavor. The Ice Jelly Sundae came with chunks of fresh tropical fruits and cubes of nata de coco, making for a bright, sunny-looking sundae. 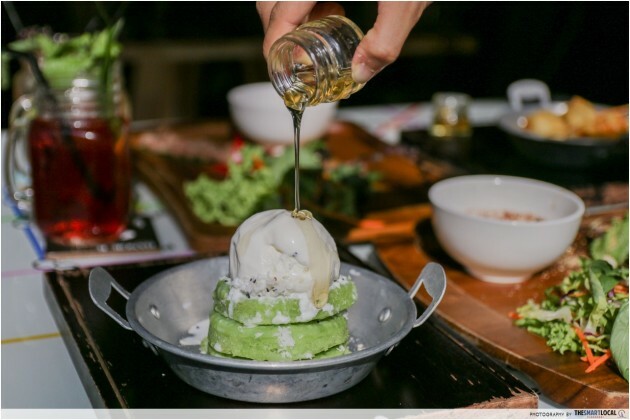 With sweet red beans, stringy pandan rice flour jelly, coconut shavings and a drizzle of gula melaka syrup, the Chendol Sundae appeared looking more similar to its namesake. Not forgetting the juicy attap chee we found hiding in the layers of soft serve! If you and your date have both got a sweet tooth, Awesome Coffee’s sundaes are definitely your thing. 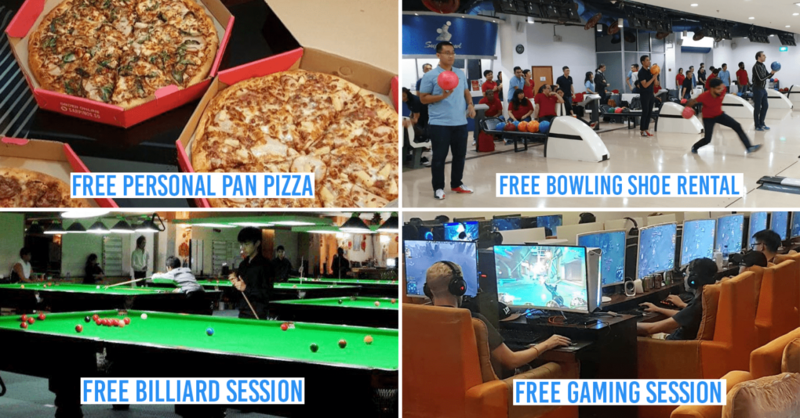 They don’t just serve coffee and ice cream either! You might be tempted by the display of almost-too-pretty-to-eat cakes and bakes in their dessert counter. 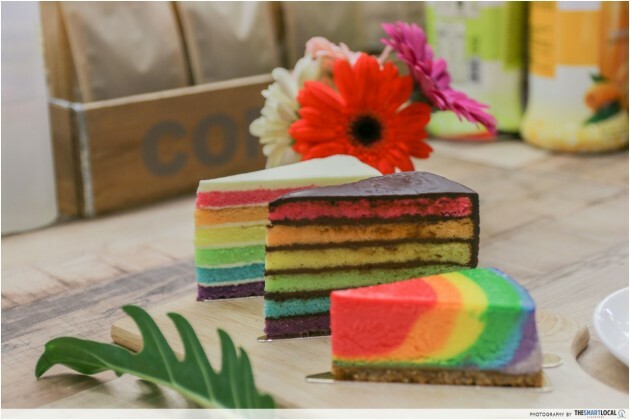 We spotted rainbow layer cakes of all sorts, and even a psychedelic-looking rainbow cheesecake! Pack some home for a sweet tea-time treat. 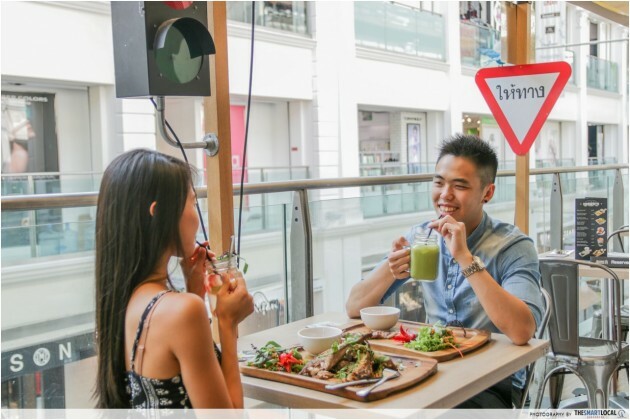 If you guys have decided to make a pit stop at Bangkok Jam for some modern Thai cuisine, you’ll be delighted to know that they’re having a 1-for-1 promotion for the new range of beverages (U.P. $ 4.90- $6.90)! 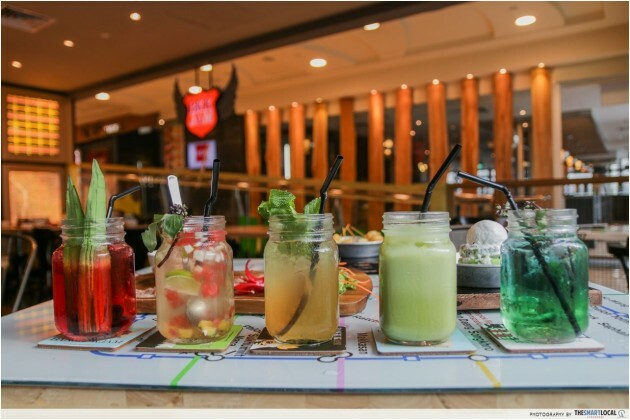 Their new range of drinks include familiar Thai flavors like lemongrass, as well as more unusual options like the Brewed Butterfly Pea with Pandan. This drink has a pretty unique flavor, and changes colour to a deep violet as you stir it up! Alongside their new Thai-inspired drinks, Bangkok Jam has launched a new range of desserts too! As someone who loves pandan-flavored things, Bangkok Jam gets a big thumbs up from me. You won’t regret trying the fragrant Pandan Pancake with Fresh Coconut Flakes and Honey ($8.50), which is served with a generous scoop of creamy coconut ice cream - it’s dense texture may seem a little strange at first, but it grows on you with every bite. Enjoy the delicious drinks and dishes, as well as each other’s company, by the bright balcony seats that get loads of natural lighting from the skylights. All the better to see them with. 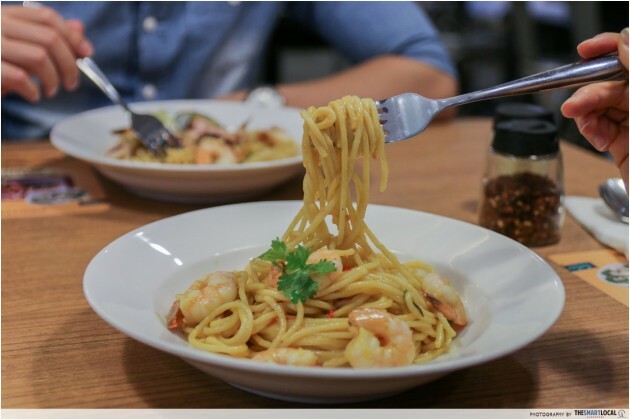 For some creative fusion pasta dishes that won’t break the bank, look no further than Eighteen Chefs at the top floor of Bugis Junction. This restaurant is the place to go for a great variety of affordable yet appetizing pastas and mains. 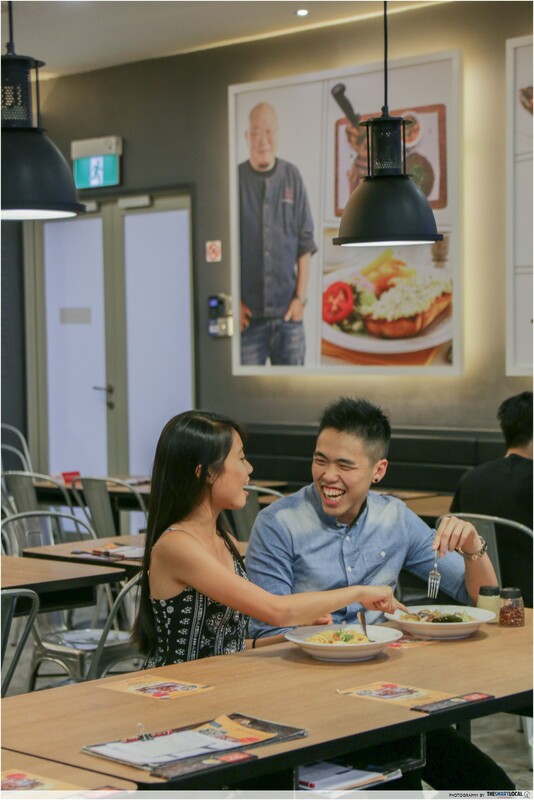 Now, dining out with bae at Eighteen Chefs is make even more attractive if you are a Bank Of China First Card holder. With every purchase of a pasta that’s $13.80 or above, the second order comes free! Chef Benny from Eighteen Chefs is certainly a genius when it comes to crafting Western-style pasta with a familiar Asian twist. His Tom Yum Seafood Fusilli (U.P. $13.80) is the dish that shot him to fame, having been featured on TV shows in the pasta. Full of fragrant spices, succulent seafood and a wicked heat, this is a definite must try at Eighteen Chefs. Another fusion pasta worth a shot is the delectable Salted Egg Prawn Pasta ($13.80), an interesting take on the popular zichar-style flavor. The fragrance of the salted egg sauce is incredibly distinct, and there is a little bit of heat in each bite. 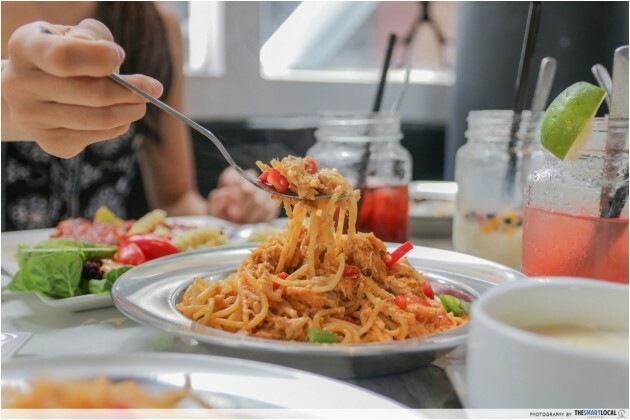 The fusion pasta dishes here are all good in their own way - you might not be able to resist stealing a bite (or half a plate) from your bae! After a delicious 1-for-1 meal, what better way to end the day out than with a decadent 1-for-1 dessert? 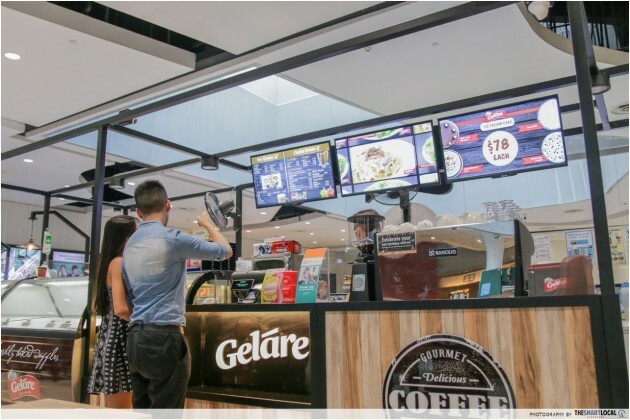 Head over to Geláre on Bugis+ Level 5. 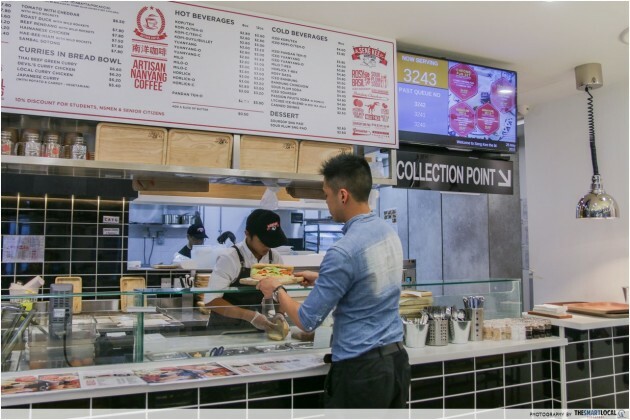 At this Australian-based ice cream parlour chain, every order of their Classic Belgian Waffle (U.P. $8.20) will get you a second one at no additional cost! 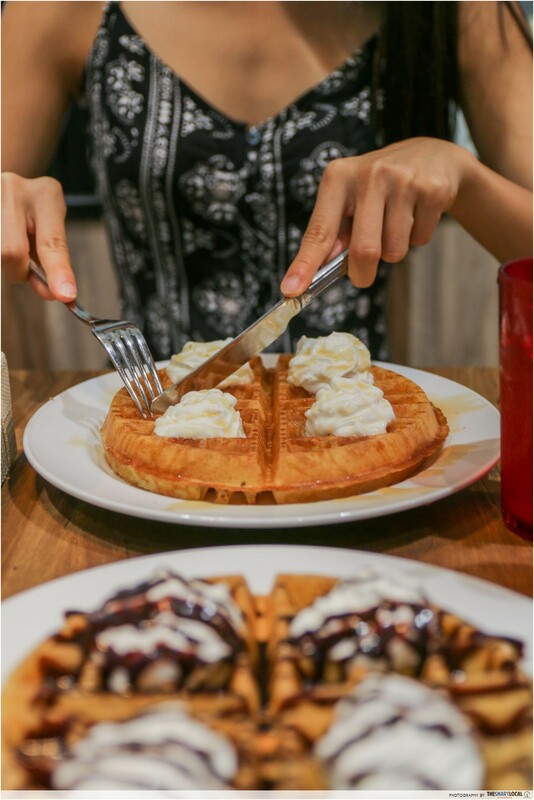 Each waffle is adorned with swirls of fluffy whipped cream, drizzled generously in a sauce of your choice. Take your pick between either chocolate or maple syrup. I would recommend the maple syrup version, its deep smoky sweetness makes for a better pairing with the fragrant, buttery Belgian waffle. 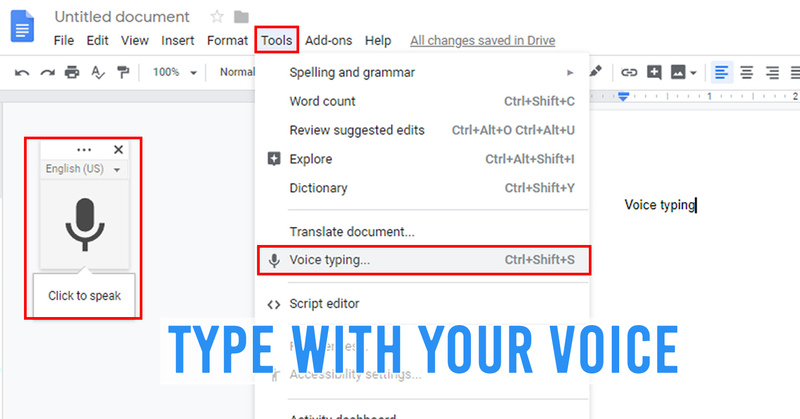 If you’re still torn between the two variations, get one each and swap half for half! This is the only time where the “Sharing is caring” mantra applies to waffles. If you and your bae are a couple of carnivores with massive appetites to match - demolishing plate after plate of barbequed meats at a speed that would put competitive eaters to shame -, then this offer at Mookata is for you. 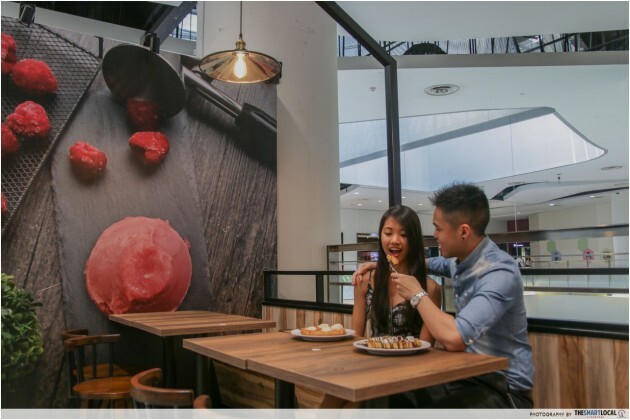 Their Bugis Junction branch is a great place to head to if you’re looking to enjoy some mookata in comfort. With air conditioning, spacious seats and clean interior decor, you no longer have to sweat it out in a cramped eatery in order to partake in this gastronomic experience. 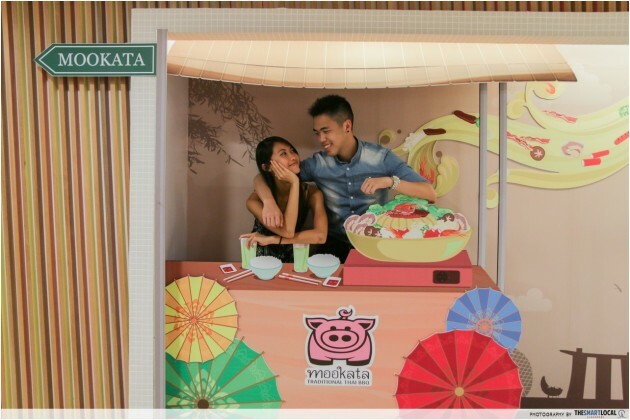 With any order of their Mookata Set Menu, you’ll get 1-For-1 Premium Items for you and your date to share. With a choice from premium meats that include Wagyu Beef (U.P. $25), Black Angus Beef ($18) and Kurobuta Pork ($22), your mookata meal would have never tasted sweeter. The best part about Mookata is drinking the soup at the end, which would have been infused with all the flavors from the meat juices. No one wants to spend a night out smelling like a piece of burnt bacon. One of the best things about Mookata, aside from the food, is their excellent smoke-sucking exhaust system - this will keep your clothes safe from the smell of barbecued meat. 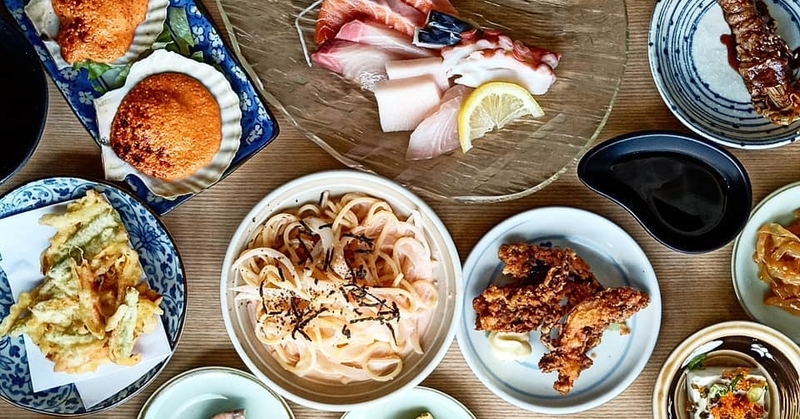 Run by the same folks behind the Sakae chain of restaurants, you can expect a contemporary vibe at Senjyu, as compared to the casual family-friendly Sakae. With its sleek interior decor and finely-plated dishes, this is just the place for a relaxing lunch for 2. 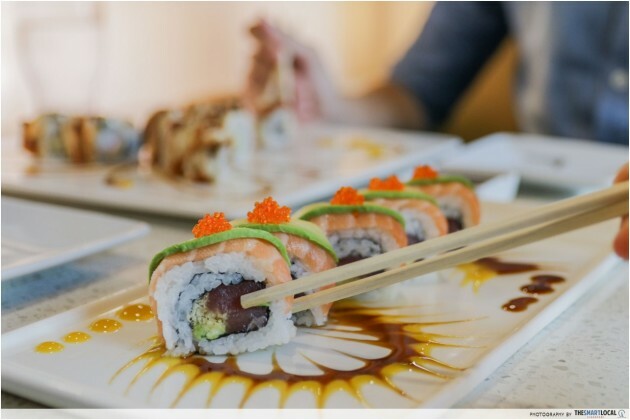 Sushi-friends, rejoice! 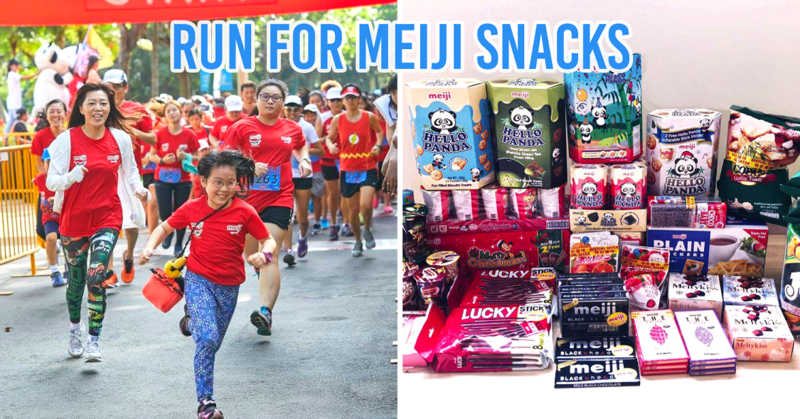 You can get your fill of Japanese food at Senjyu without busting your budget, with their 50% off Selected Items promotion! A refreshing sharing starter from their promo selection is the Phoenix Maki (U.P. $11.99), a tuna sashimi and avocado maki roll topped with strips of salmon sashimi, avocado slices and crunchy tobiko (flying fish roe). 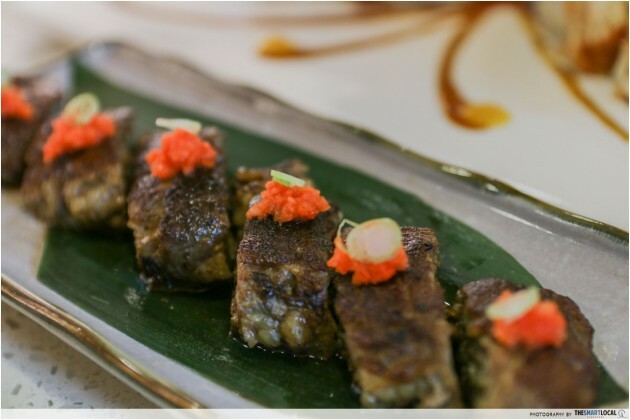 Beef lovers will delight in Senjyu’s tender Usukari Niku No Oroshi Steaki (U.P: $14.99), which consists of Japanese beef slices that have been pan-seared and glazed with ponzu sauce. Each slice is perfectly juicy with a delicious char on the outside, and needs no additional seasoning or sauce for dipping. For something comforting and heart-warming, get the Bonito Kaisen Nabe (U.P. 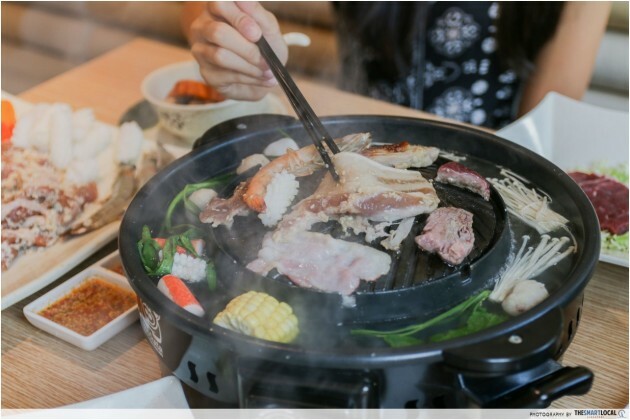 $18.99), a steaming hot pot filled with a colourful assortment of fresh seafood and vegetables in a clear bonito broth. Every umami-filled spoonful of soup is sure to keep your tummies feeling warm and happy. Now that you’ve saved almost half your bill, there’ll be some space in your wallet for dessert. There’s always room for dessert! 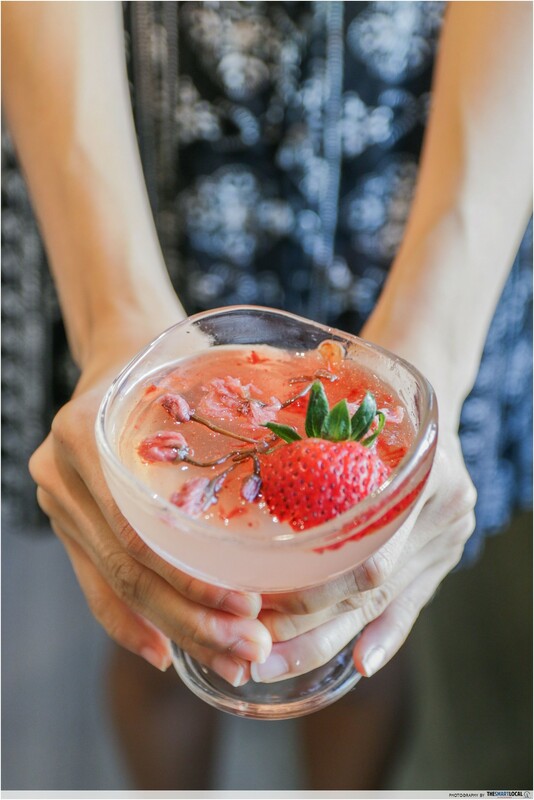 So treat your special someone to a glass of pretty-pink Sakura Jelly ($6.99), a delicate peach-infused jelly with sakura flowers, topped with an intricate cherry blossom design. If you don’t feel like pasta but still want to treat yourselves to some east-meets-west fusion food, head down to the ground floor of Bugis Junction, to Seng Kee The Black Seed by Chef Benny. This eatery is Chef Benny’s new concept, and he continues the trend of serving up locally-inspired dishes at very affordable prices. 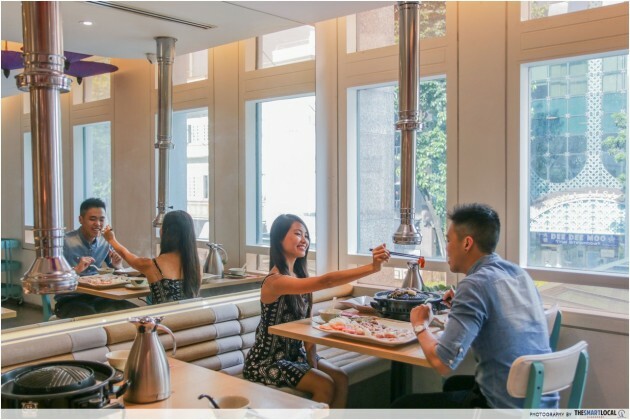 At Seng Kee, you can expect to see shake ups of local favorites, like Hainanese Chicken Sandwich, Beef Rendang Cheong Fun and even 63-degree sous vide eggs served kopitiam-style. 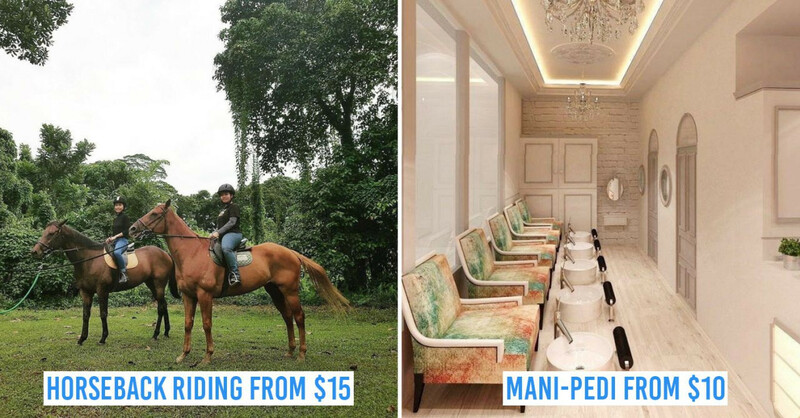 Talk about a coffee shop upgrade. They are now having a 1-For-1 Hainanese Chicken Sandwich (U.P. $6) special, so the both of you can savor this innovative sandwich creation. The Hainanese Chicken Sandwich tastes more flavorful than it looks, with thick slices of fragrant poached chicken paired with zippy chicken rice-style chilli sauce. 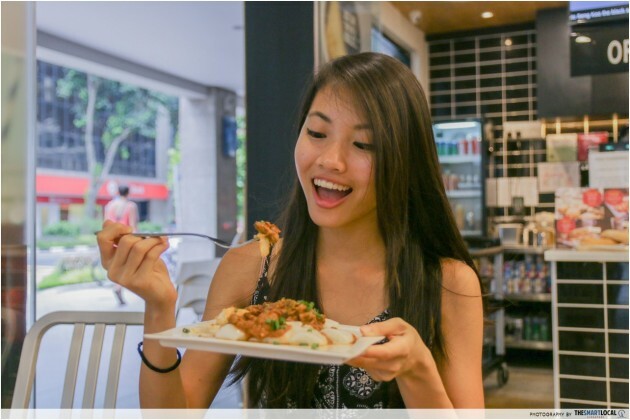 The usual chicken rice is replaced by a crusty baguette, making for a healthier alternative if you’re craving some of that sinful chicken rice taste. The Beef Rendang Cheong Fun ($6.50) is an interesting mash-up of two local favorites - silky-smooth chee cheong fun and rich, tender rendang. You can even opt for sambal sotong or chicken curry on your steamed rice rolls instead! For something lighter still, how about a bag of sweet gourmet popcorn for those sugar cravings? 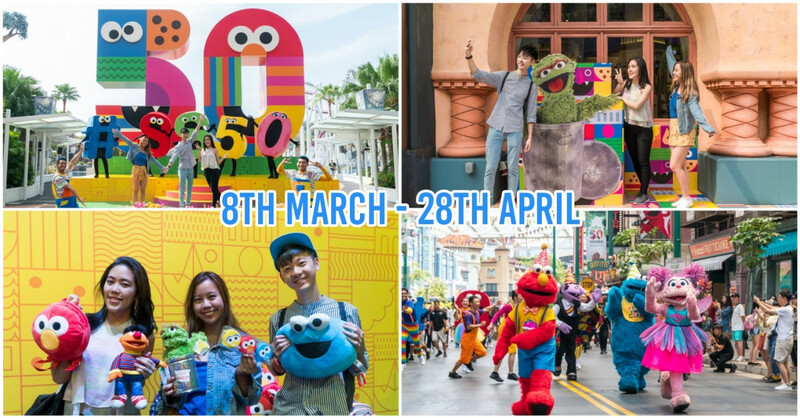 Sweet Monster, the popular Korean popcorn ice-cream shop, made waves on Instagram when they first popped up in Singapore with their towering cups of popcorn-encrusted soft serve desserts. Not to mention, their adorable monster mascots. Now, with their new 1-For-1 Milk Popcorn (U.P. 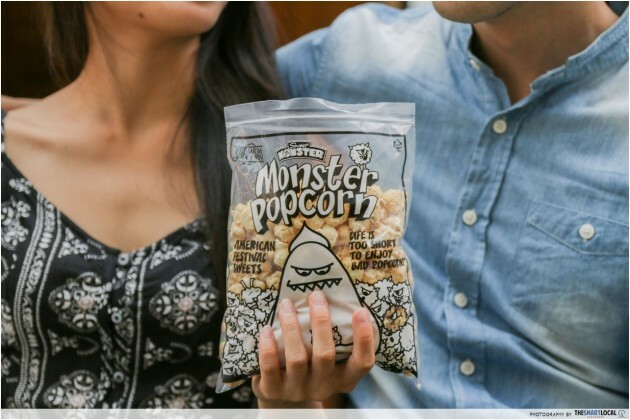 $5.80) offer up for grabs, you and bae can get a bag each of their signature popcorn. Share one for now, and save one for later. The Sweet Monster at Bugis Junction has a little outdoor space under the skylight, complete with a picnic bench and cute cardboard stands. Take a break here, and let the world spin by. 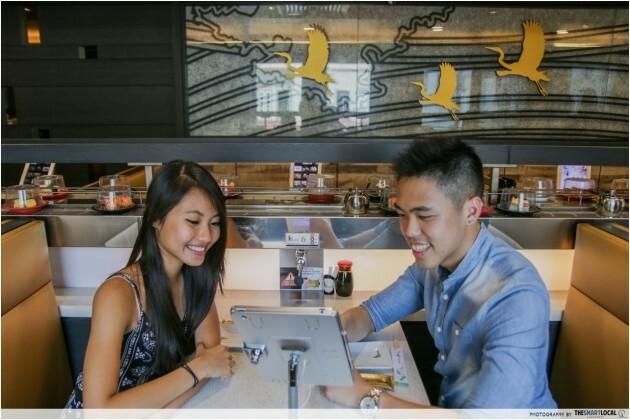 Dine with your other half, for half! 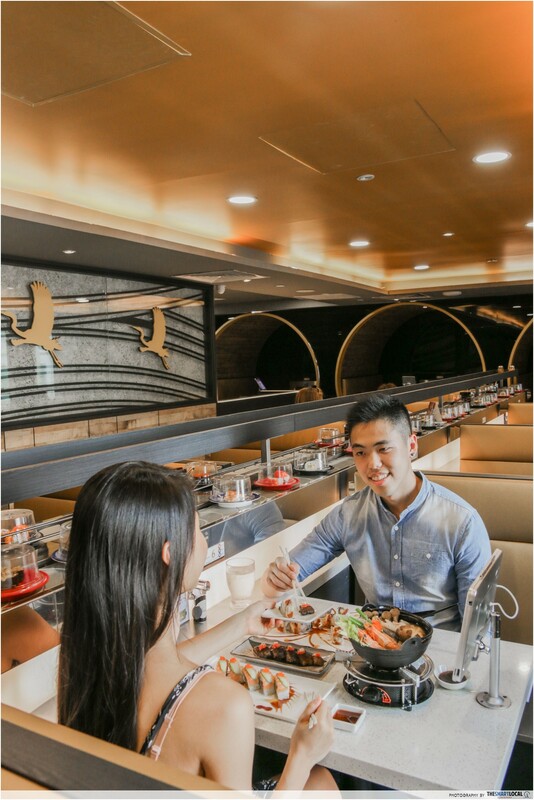 If you’re fast running out of new places to take your bae, this list will help you replenish your date night ideas AND save money, all at the same time! With offers like 1-for-1 fusion pastas, Japanese food at 50% of its original price, and even buy-1-get-1-free gourmet popcorn, this list has something for every pair. All besties and partners, take note! 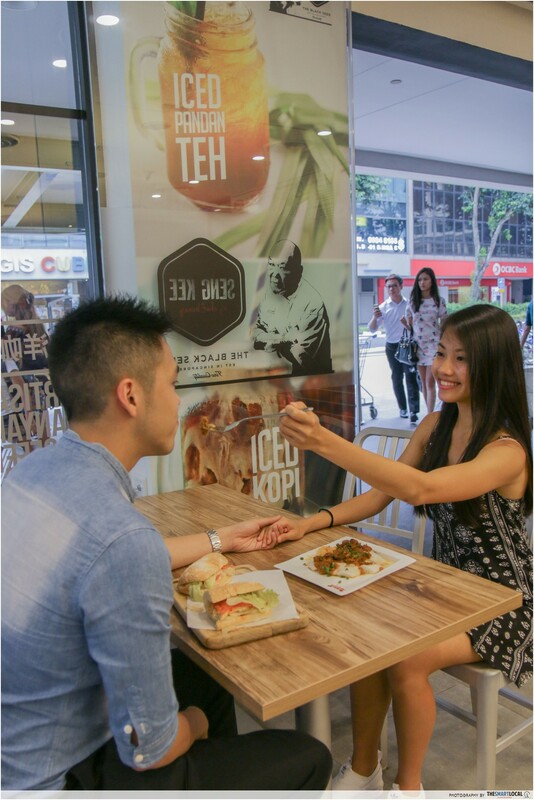 Stay up to date on all the latest offerings by following Bugis Junction and Bugis + on Facebook and Instagram. All offers are valid from 8th July - 7th August. Win a $50 CapitaVoucher to eat to your heart's content! Take part in our simple contest and you just might be walking away with 50,000 STAR$® which is equivalent to a $50 CapitaVoucher to fill your belly to the brim! 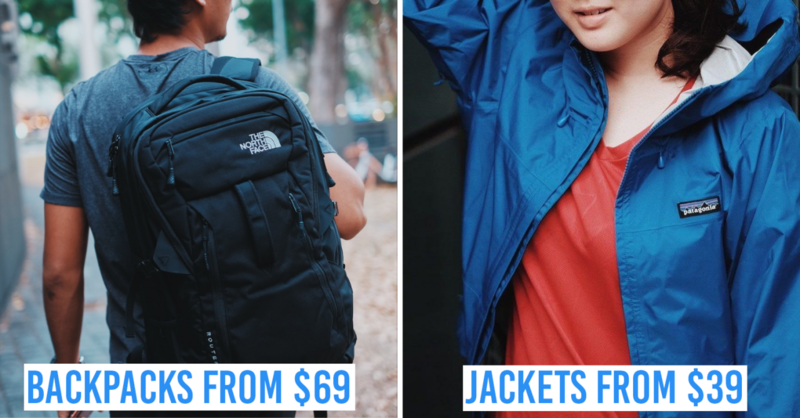 10 lucky winners will win a $50 CapitaVoucher each! 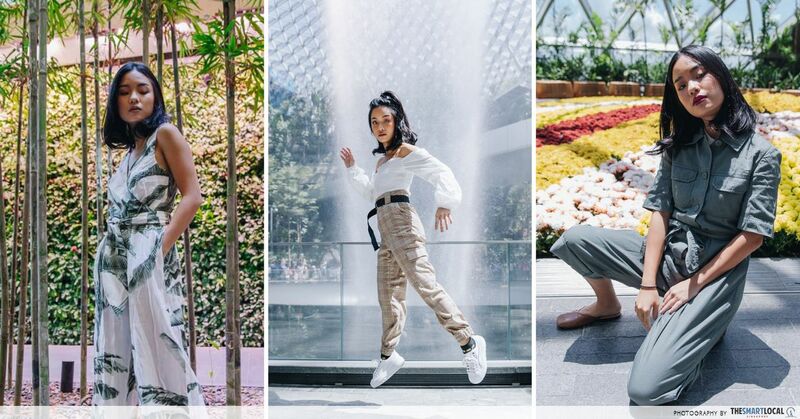 This post was brought to you by Bugis Junction x Bugis+.